May 22nd, 1918 – the whole 4th Brigade AIF moved from the lines (near Villers-Bretonneux) for 9 days of rest after more than 2 months spent on the front line . 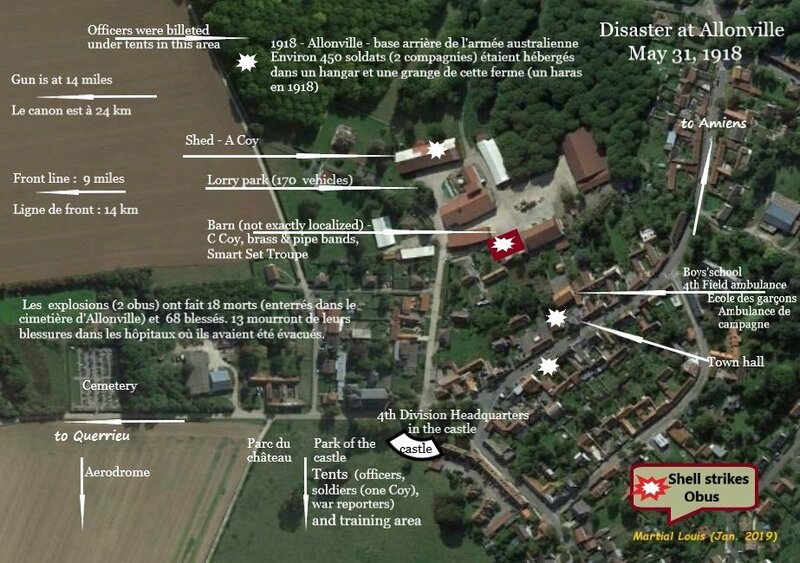 13th and 14th Battalions AIF and a Trench Mortar Coy (1824 men) arrived at Allonville . The 4th Division HQ was billeted in the castle. 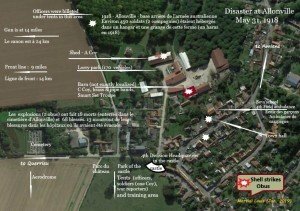 15th Battalion (1012 men) went to Fréchencourt and 16th Battalion (890 men) to Cardonnette (less than 2 km from Allonville. The Smart set Troupe (Comedians) were also in Allonville at this moment and had installed a « theatre » in one of the big barns of the stud farm of the castle were soldiers were also billeted. © 2019 Commemorationcentenaireallonville2018. Tous droits réservés .